The Pringle show is one I look forward to every season and after arriving just after the first presentation had finished I decided to wait until the next one started which meant I had to miss a few other shows...but my decision was made and boy was it worth it! 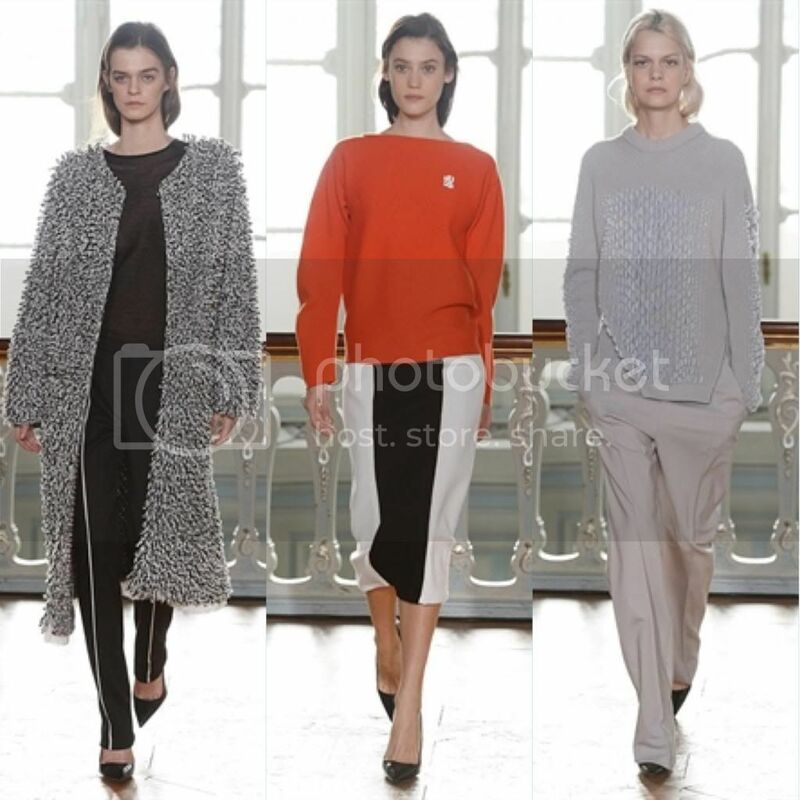 The collection was showcased at the exquisite Savile Club in Mayfair which was the perfect setting. This season instead of a presentation, the show was presented via a salon catwalk focusing on innovative 3D printing effects. The textile and structure of the knitwear was streamlined at surface level to produce a super chic, minimalistic ready to wear line bringing the 200 year brand to the forefront of technical innovation. 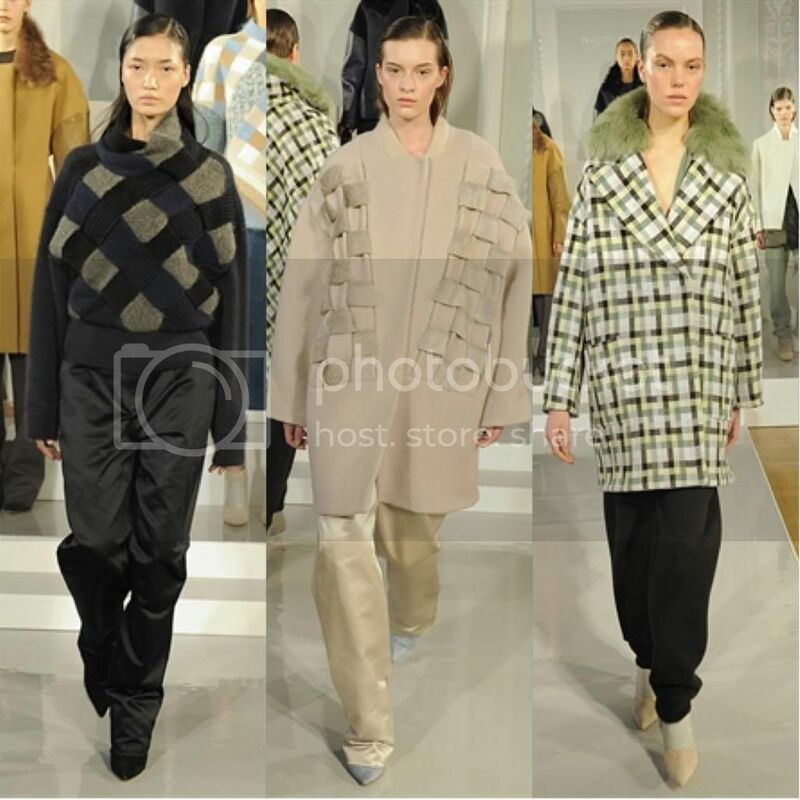 Grey, red and orange were fed through the muted palette, with turtle necks expertly layered under androgynous coats and contemporary sleek pencil silhouettes. Polo shirts in soft silk added a retro touch and the argyle pattern was still apparent in a monochrome sleeveless piece. As the models passed by I had to stop myself from reaching out to touch the fabric. The shaggy coat (below) has my name written all over it! This is such a move on from last season, I seriously can't wait to see what Pringle brings for 2015. 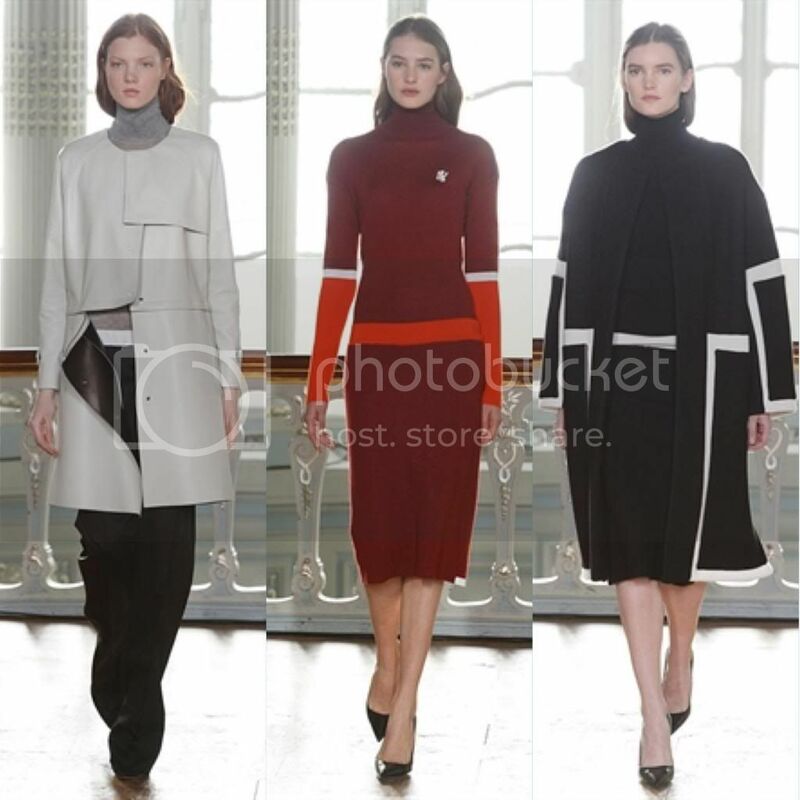 After a quick stop off at the Debenhams LFW boutique for breakfast, I headed to the Nicole Farhi show. This collection was pure and utter hotness! Taking inspiration from the need to feel protected and cosy during the winter months, the brand explored tactile intimacy in the modern world. Creative director Joanna Sykes focused on the basics and drove it into a new dimension. It was all about comfortable, elegant, smart, yet relaxed designs (the perfect London look) which had an edge to stand out from other brands. 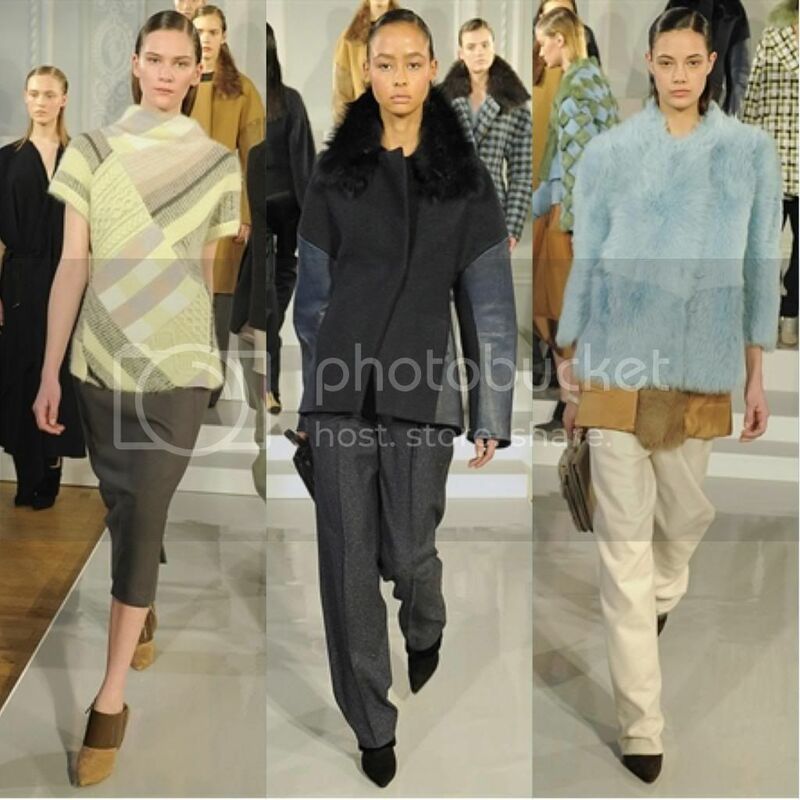 Soft angora knits in bold patchwork, slouchy cargo pants in compact satin and goat fur jackets were paired together. Hair was kept sleek and off the face allowing the audience to focus on the intricate details of the clothes. Mixed proportions of tiered layers, graphic sloping hems, and cropped sweaters were worked together in charcoal, navy, duck egg, lemon and chocolate. Fur trimmed ankle boots and graphic woven fur camera bags finished off the look. The stand out piece for me was the checkerboard woven jacket with fur collar, below. This was definitely the epitome of casual luxury! single thing like that before. So good to find somebody with unique thoughts on this topic.